Pierre and Marie Currie University (UPMC) is a public institution in Paris. The university is France´s best medical research institution and has remained this way until Today. The university currently has 32,000 students enrolled and an academic staff of 7,000 people making this a large university. The university is located on the Jussieu Campus in Paris. The university is renowned for its scientific advancement in medicine, bioscience and science and has won many awards in more than 5 continents awarded to its researchers. The university has remained as the number 1 science university in France for many years as well as ranking as one of the top universities in the world currently positioning as number 46th best university according to topuniversities.com. The university has more than 125 laboratories with the majority of them associated with the Centre national de la recherche scientifique (CNRS), the largest scientific research facility in France. The university offers its physics diploma in English after an agreement with Universite Sorbonne Abu Dhabi. The University forms part of the Sorbonne University of Paris after a full merger that was finalized in 2018. UPMC is also the most modern scientific facility containing the best state of the art technology alongside some of Europe’s finest professors who all have experience with medicine, physics and science in general. The University is also unique since most of its lectures are done through the use of Power point slides but also has a well equipped library that contains all of the necessary books a student can look for when studying and revising for exams. In overall, this university is the number one spot for anyone wishing to study Science, Medicine and Physics, with the best education one can only dream of consisting of the best professors, tutors and medical equipment. Students must be prepared for the toughest education when they join UPMC because of the very fast paced intensive courses and it is a well known fact that students who do not manage to catch up with classes, will fail their examinations. It is also worth noting that the university also offers mathematics as a major and is in fact, also renowned for it. The mathematics courses are very intensive when compared to other universities and institutions but if the student is well determined, enjoys Math and is willing to output whatever they can, UPMC will without a doubt turn them into one of the finest mathematicians in the whole world and will give them an amazing opportunity for when they search for their job after they graduate. The University also offers majors in Business & Economics and Computer science, who also offer very good education thanks to their tutors and state of the art model. If one is looking to study the latter two majors, UPMC is a good choice as well. Sports are not a prominent activity in the University. You will find students who like soccer and tennis but the vast majority are not as competitive as other colleges in the world such as the University of Toronto in Canada or the University of Rhode Island in the United States. UPMC is mostly a Scientific and Mathematical university who do not focus on sports as much. Application to UPMC is straightforward and simple. The Students are required to send a copy of their school reports and a photocopy of your passport. The process is the complicated step however. The University of Marie Curie accepts students as long as they have taken a science subject. Combined Sciences in A-level is ideal in order to be able to take full advantage of UPMC´s courses. It is worth noting that due to it being a public institution, UPMC´s determined students based on their academic performance instead of actual grade requirements due to all the other students applying for a career. So if high school students wants to be part of UPMC, they are firstly required to know French as an obligatory step in order to be able to take courses at UPMC. Second, they are expected to have the best results they can get to have a secure position at the University´s selective admissions process such as all A´s in A-Levels, SAT´s and the equivalent in the international Baccalaureate, European Baccalaureate and or their country´s educational system. The subjects must all be science related subjects or Mathematics related subjects such as General Math or Statistics if the student prefers to take mathematics major. Finally, the student is expected to pay a 50 Euro Application Fee. This can be done through bank transfer and can be found at the universities official website at http://www.gau.edu.tr/en/ . The student is required to send a photocopy of their Passport and will be placed for evaluation and will be informed of the progress. Nobel peace prize affiliates, amazing research facilities and many more! Paris is without a doubt one of the most beautiful cities in the whole world. 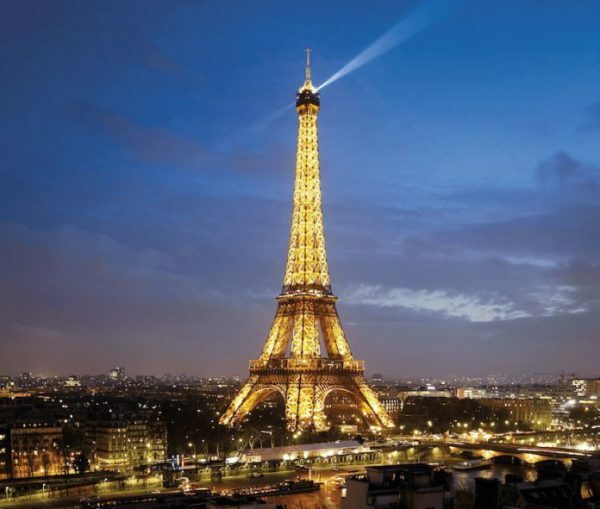 Here you will see many monuments such as the triumph arch, the Eiffel tower and the Versailles Palace. You will notice that even without the beautiful monuments, the architecture in France is very breath-taking. Many buildings look very medieval blended with precious modern architecture that give off a very unique feeling about the French culture. French people are somewhat reserved but in Paris this is usually not that much of a problem. You will see that people in France will generally be very welcoming as they really want to give a good impression of their culture and will not hesitate to answer all your questions and doubts. In Paris you will notice many patisseries which are known as the pastry and bakery shops. You will be very surprised at the delicious flavor the French treats will offer such as one of their yummy cakes, chocolate bars and many more! Life in Paris is just an undeniably beautiful experience. If you know how to speak French, you will be considered at home and even if you don’t, you will still be welcomed as a good guest. French people are very formal and educated where you will be surprised at how clean their etiquette it, how formal they dress and how clean they keep the city. The youth are very outgoing where you will notice them meeting up with friends at the local restaurants, bars and nightclubs. The youth reunite with friends at 9 pm and stay up until 3/4 am. Paris is simply a gem when described in words, as mentioned before the buildings are a beautiful blend of medieval and modern architecture coupled with the exhilaratingly beautiful monuments such as the arch of triumph, the palace of Versailles and the Eiffel tower. One of the most famous museums in the whole world! 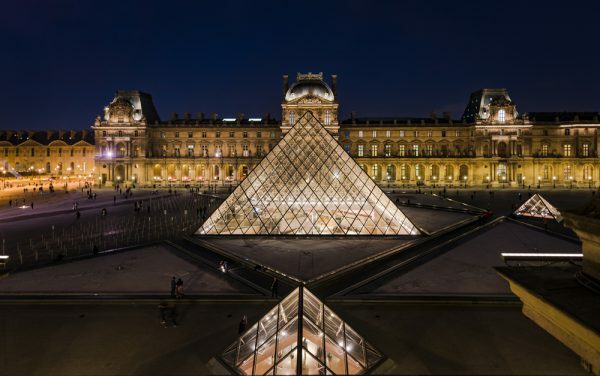 The museum is renowned for Mesopotamian, Egyptian and Greek antiquities to majestic art pieces by artists such as da Vinci (Mona Lisa), Michelangelo and Rembrandt. Constructed by Gustaff Eiffel in 1889, this tower is the symbol of Paris today with elevators ascending to the tower’s three floors. The more energetic and ambitious visitors have the choice climb as far as the second floor via the southern pillar’s 704 stairs. The Third floor serves as an observation tower with a view of the city so Marvelous to the point where you will no longer be impressed with your own city’s skyscraper views! The one and only historic palace of France, where portraits of all the French kings can be seen such as Louis XIV the sun king, to statesman Napoleon Bonaparte. The Palace has all the King’s rooms and offices intact and even the royal garden restored. If you like French history, then this must be placed number 1 in your list. Paris is known to be as the capital city of love, so if you fall in love with a French woman, get ready for a relationship of a lifetime and a partner who will love you till the very end. French cuisine can be simply described in two words: Uniquely Delicious! In France you will see dishes that you might’ve never heard of, and some might even raise your eyebrows. For example, the escargot which is essentially snails cooked in garlic, butter and white wine. This may seem a bizzare dish but the flavour and taste will remove all doubts when you realize how increadibly delicious it actually is! Another delicacy are the frog legs which as the name implies, are frog legs cooked to be crispy and tasty and one will be surprised that the flavour actually is very similar to chicken, only much more unique. Seafood is also a no-brainer. The live oysters in lemon may be expensive but the taste is definitely worth all your concerns. You will just be amazed of how fresh and uniquely tasty these oysters are, and may even force you to go ahead and order another pair. Perhaps the one dish, whose flavour will remain within your heart forever is the tuna tartar. This dish is simply a delicacy like no other, with the most unique flavor and aesthetically precious presentation. In overall, there’s plenty of French delicacies that you can try and despite the awkwardness you should never be put off from trying them, because if you do then you will realize how much of a treat the dish was and will give you every reason to brag to your friends about the yummy treat you have had your chance in trying. The best of the best if you want a true French experience, the menu is simply like no other in the sense that it keeps changing constantly, adding very unique and creative dishes never found in other places. If you truly want an experience that is unique and special, then Septime will not disappoint. You will leave with the amazing food presentation stuck in your brain and the flavor imprinted within your heart for an eternity! Perhaps the pinnacle of uniqueness, the chef/owner Maria cooks only one meat and vegetable dishes. What sets this apart from the other restaurants in Paris is the fact that every cooked dish if different, and completely invented. The restaurant is cozy and the creative dishes are a guaranteed treat. The restaurant is simply amazing, cozy and has all its food served with true love and care. An American restaurant situated in Paris, this one’s exceptionally good. It has all the typical American dishes you would expect with unique twists. The dishes all are presented in a visually pleasant manner with the staff expressing real care and attention, making you feel right at home.